Think about it. 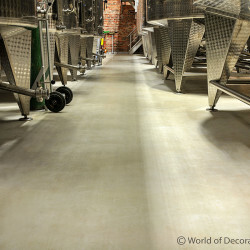 What are the most used, and often-abused part, of each building every day? 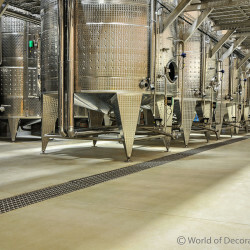 You just have to look down at the floor to know the answer. 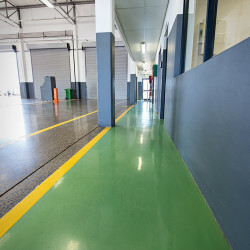 Even more so in the industrial environment due to mechanical wear and tear. 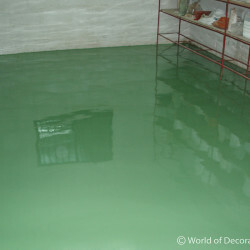 Not to mention the impact of chemicals. 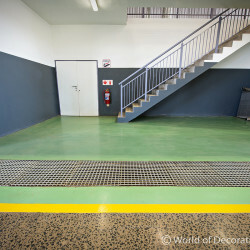 It is therefore imperative that the floor of any industrial or factory building enjoys adequate protection that matches the demand of that particular floor. 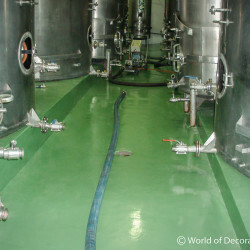 Industrial floor protection, with specific reference to the food, wine and pharmaceutical industry, also fulfills the role of added hygiene in the work environment as far as ease of cleaning and basic maintenance are concerned. 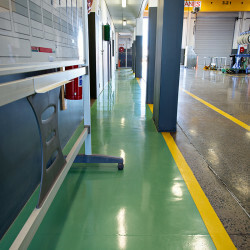 Industrial floor protection is a specialist application and requires a combination of skill in application and material performance. 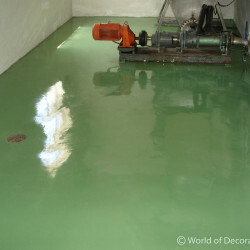 The success of any industrial floor largely depends on the preparation of the floor and the correct choice of application. 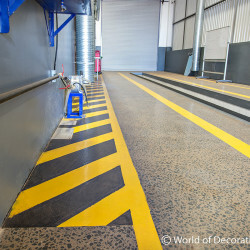 WODC supplies and installs tried and tested competitive industrial flooring materials such as epoxies and cementitious polyurethanes. 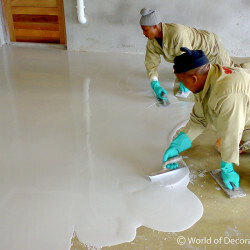 These products perform very well in the industrial environments where protection of the concrete substrate, hygiene, low maintenance and safety are required. 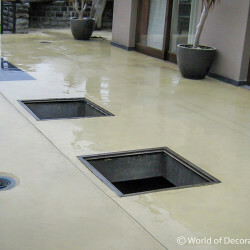 WODC also assist on the choice of product, suitable for the desired application. 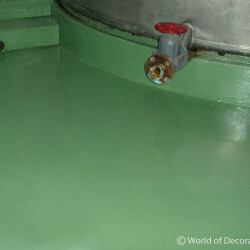 A choice of standard colours is available for the epoxies and cementitious polyurethanes (CPU’s) as well as a choice of sheen (epoxies – gloss, cementitious polyurethanes – matt).